Now that Fall is in season, suede is something you'd see in store! But people turn away from suede because it is known to be quite the high maintenance material, but when it comes to cleaning suede footwear, the old adage "an ounce of prevention is worth a pound of cure" definitely applies. Shoe Care: Treating your suede or nubuck shoes with a protective spray or finish will help to repel water and prevent stains. If that ship has already sailed, at least you'll know for future reference to protect before wearing. In the meantime, here are some Shoe Care tips for cleaning suede shoes and boots after stains have already set. Remember to first test any treatment or product on a small inconspicuous area before tackling a large stain, and only use products designed specifically for the material of your footwear (suede, nubuck, smooth leather, etc.). For heavy stains on suede footwear, use a suede cleaning block (also called a suede eraser). These products will crumble as you rub them across the surface of the footwear, and are great for removing even deeply embedded dirt. 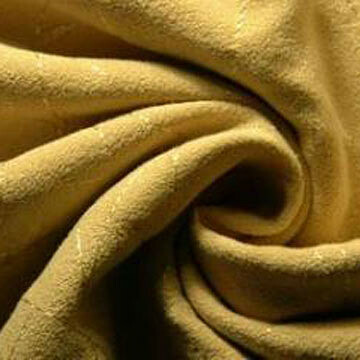 After cleaning, the nap of your suede can be restored by using a suede brush. The bristles of suede brushes are usually made from brass, and often you can find both the cleaning block and the brush in one kit.